The World Transplant Games are unique games which celebrate what is possible in life after transplantation. Put simply, the games are the ‘Olympics’ for transplant recipients. Held every two years, this year the Games were hosted by the city of Malaga, Spain where 1,350 transplant athletes from 52 countries gathered from across the globe. The Games included 13 sports, including track and field, cycling, badminton, tennis, squash and swimming. The Great Britain and Northern Ireland swimming team included 46 swimmers from across the country from all age groups and walks of life, but all having one thing in common, all of them have had life saving organ or bone marrow transplants. Over the two days of competition held at Malaga’s Inacua swimming complex, the closely-knit team amassed an outstanding 67 golds, 23 silvers and 32 bronzes. The 21st edition of the Games were the most competitive ever seen in the swimming pool, with 74 new World Records set with an incredible 30 of them set by team GB & NI swimmers. The team included four swimmers who are supported by the GLL Sport Foundation; Liam Barnett, Jodie Cox, Simon Randerson and Tracy Carroll. 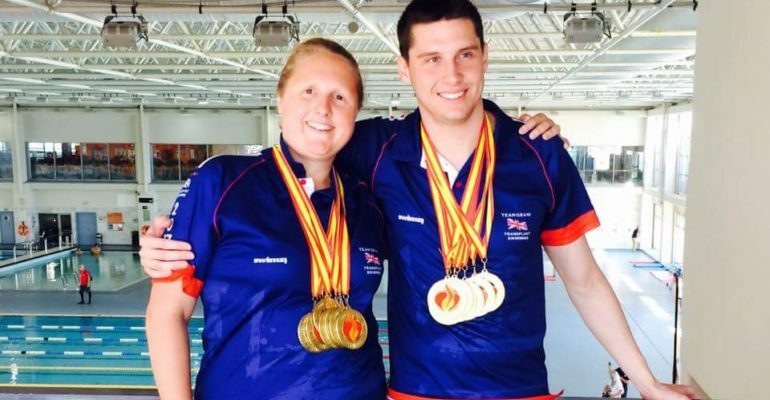 Team captains Liam Barnett and Jodie Cox both came away with 7 golds and both setting 4 new world records in the 18-29 and 30-39 age groups respectively. Liam and Jodie were both part of the dominant GB & NI relay teams, with the Men’s and Women’s teams both beating off stiff opposition from the likes of USA, Australia, and Canada. 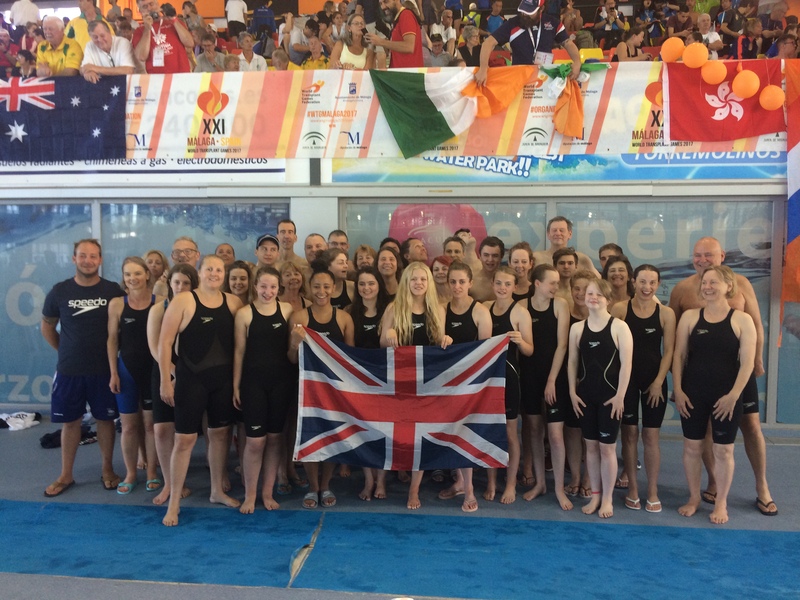 The Men and Women won gold in both the 4×50 freestyle and 4×50 medley relays with the Men’s team setting two new world records in both relays and with the Women’s medley relay quartet, anchored by Cox smashing the existing world record held by GB & NI by over 3 seconds! Men’s captain Liam Barnett, who is a regular user of the GLL facilities in Cambridge says “Despite the team’s outstanding success and despite being affiliated to the International Olympic Committee, there is no central government funding for the transplant team GB & NI. 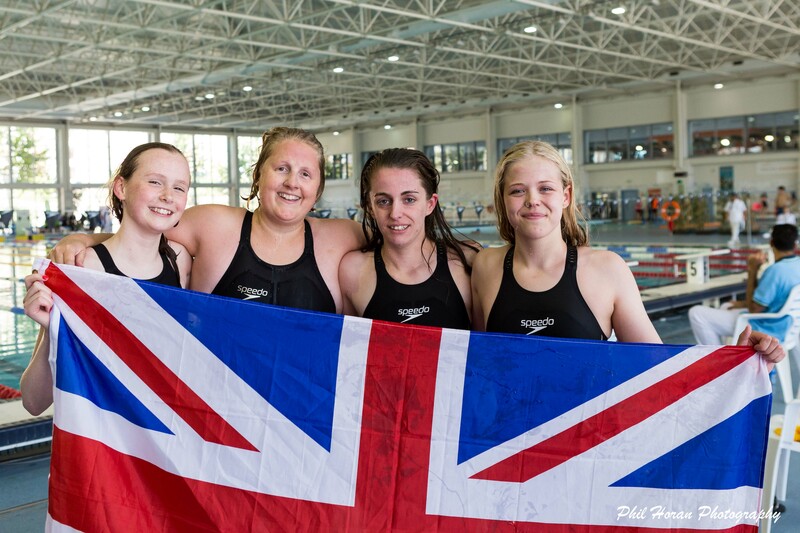 All of our swimmers have had to raise money to get themselves to the Games, and so it’s really great that our swimmers can access GLL Sport Foundation sponsorship schemes and make use of their great facilities and knowledgeable staff”. Despite recently undergoing shoulder surgery meaning she was unable to train for several months before the World Transplant Games, Tracy Carroll won 2 silvers and 2 bronze medals in the 40-49 age category. Tracy, who uses her local GLL facilities in Cornwall says “Having the support of GLL has really helped me in the run up to the Games. The use of swimming pool and gym facilities has helped me to recovery after my surgery and reach my full potential ahead of the Games”.